Over 6,000 members meet in 159 congregations in 28 nations. Kalengule Kaoma, a native of Zambia, is National Director for Zambia and GCI Missions Director for much of Africa. Over the past several years the number of refugees in Africa has increased tremendously. 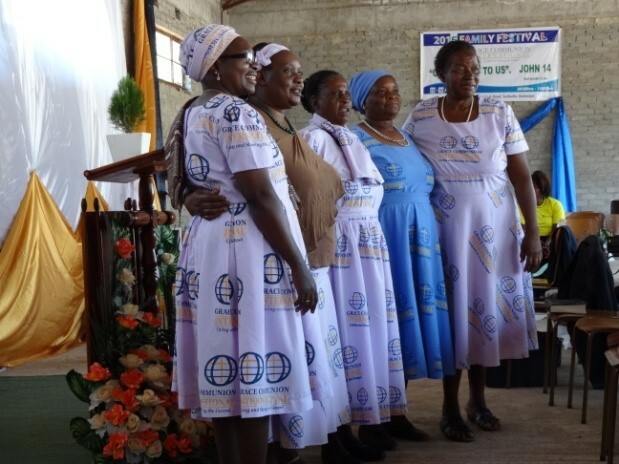 Of the many congregations we have in this region, two are composed mainly of refugees – one in Nairobi, Kenya, and another in Kakuma, in the north of Kenya near the Sudan. Many of the refugees are Congolese, Rwandese, or Burundian. Some in Kakuma are Sudanese or Ethiopian, and in Kakuma we have a number of members who are hearing impaired. The refugee members have many needs, both physical and spiritual. We have supplied a number of them with Bibles, and have also tried to set up some self-help projects, as well as supplying food as direct assistance. Malawi is often described as the “warm heart” of Africa, and is certainly a beautiful and friendly place. However, the country has not had good rains at the right seasons for several years; there have been food shortages and near famine conditions. Various churches in the developed world supported a fund that assisted 35 families with food for a period of around six months during the worst of the crisis. In addition, land and seeds were purchased in order to plant crops for the end of the crisis. This initiative resulted in a bumper harvest for our members in need. Also, some years ago the Blantyre church planted a small church called Minimini on the slopes of Mount Mulanje. This church is located in a tea plantation, and now has around 70 in attendance. A literacy program has been established to help particularly women to learn how to read. In Madagascar, we have been helping kids from poor families for many years. With our two congregations (Antananarivo and Antsirabe), we are offering spiritual education, scholar kits, protein complementary food every two weeks and some educational activities for about 70- 80 kids between 2 and 13 years old. Oliveira Kitambala and his wife are beginning a school project for orphans and street children just outside war-torn Luanda. Details are still being obtained. 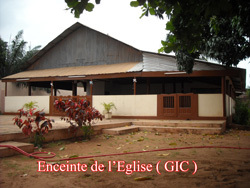 The church is active in most nations of sub-Saharan Africa. 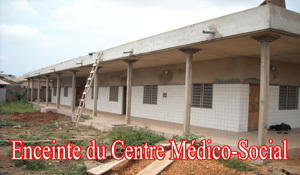 Community Project: Health Centre under construction. When complete, the centre will provide primary health care, maternity, laboratory and pharmacy services. Main construction is almost complete. Clinic Furniture and laboratory equipment are major needs for the opening of the centre.